We bought our house 8 months ago today and as you know, we've been working pretty hard to turn this 1950s ranch into the home we've always dreamed of. We got lucky with a pretty blank canvas - white walls and beautiful hardwood floors in almost every room - however, we aren't very thrilled with the existing trim and swapping it out has been one of the highest impact changes we've made. The trim was in decent shape, but had a few flaws: 1) The quarter round and the actual trim didn't match in color, 2) We just didn't like the style. Even with a fresh coat of paint, we knew we wouldn't be pleased with it, so we started yanking it out in preparation for installing fresh, new trim. Never removed trim before? 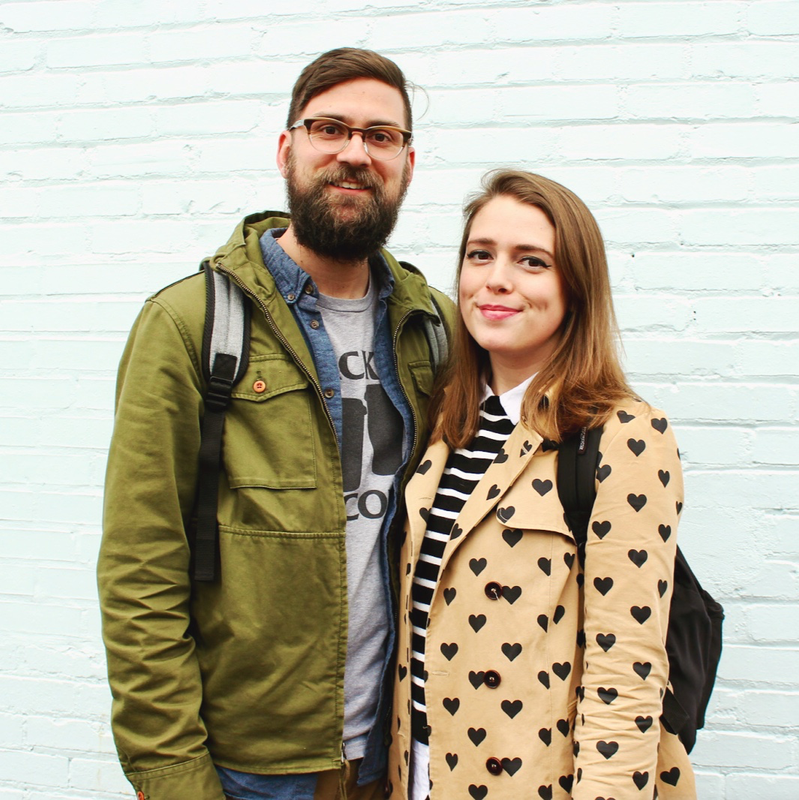 Don't worry, we hadn't either. But it was an easy process and you can do it too! 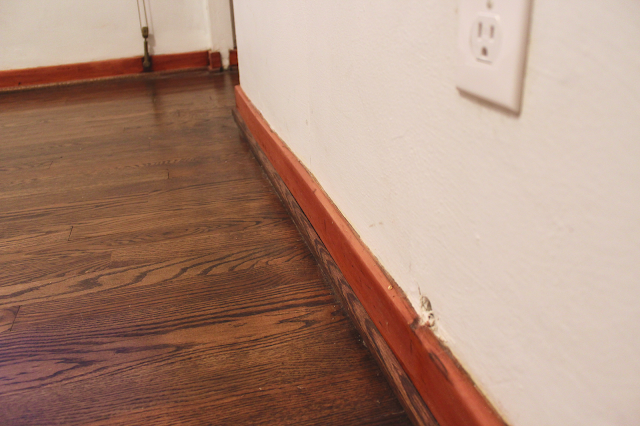 - Lay your ground covering to protect your floors (especially if you have hardwood) and keep your space clean. - First, take off the quarter round - If you're not keeping your trim, simply hammer your pry bar into the seam between the quarter round and the trim to loosen it up. 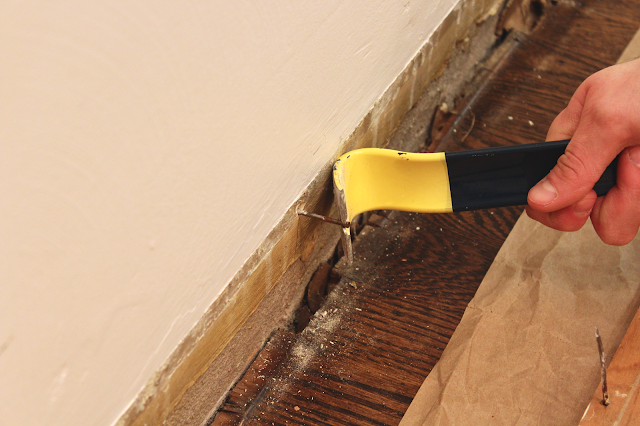 If it's super tight, you may need to force a putty knife in first, before you can properly fit a pry bar in. 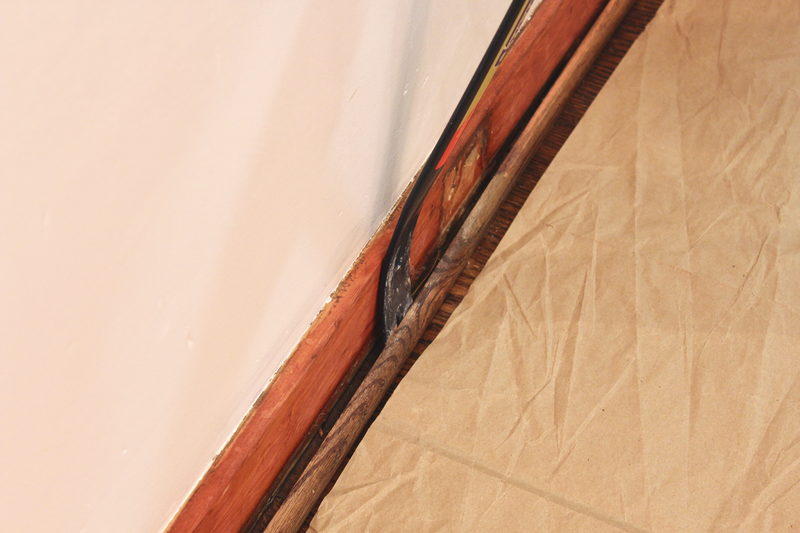 If you are keeping your trim, use a rag behind your pry bar to help keep the trim nice. If you're keeping the trim, but are removing the quarter round to refinish your floors, simply pound the pry bar in at the seam between the floor and the quarter round. This will also loosen it up for removal. - If your trim is old, chances are good that some of your nails with either break off into your floor, or your quarter round will splinter around the nails. Here is where your pliers come in, to remove any broken nails from your floor. 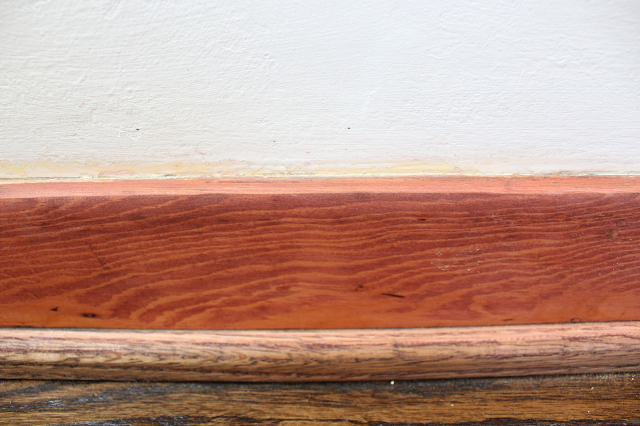 - After cleaning up your quarter round trash and any broken nails you may have come across, prep your trim for removal. 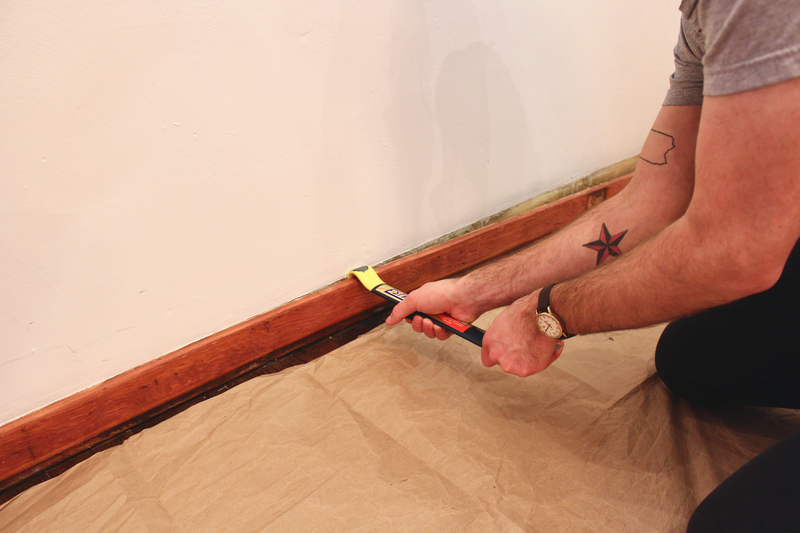 - Using your utility knife, score the seam between the wall and the top edge of your trim. 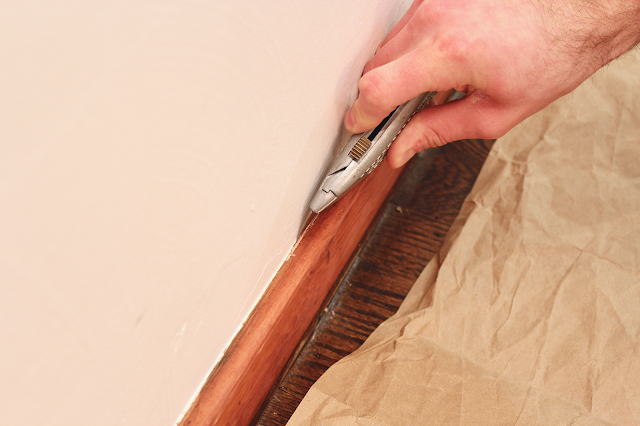 This will ensure that the finish on your walls doesn't tear with any trim removal, and will give a slight gap that you can start a pry bar or putty knife into. 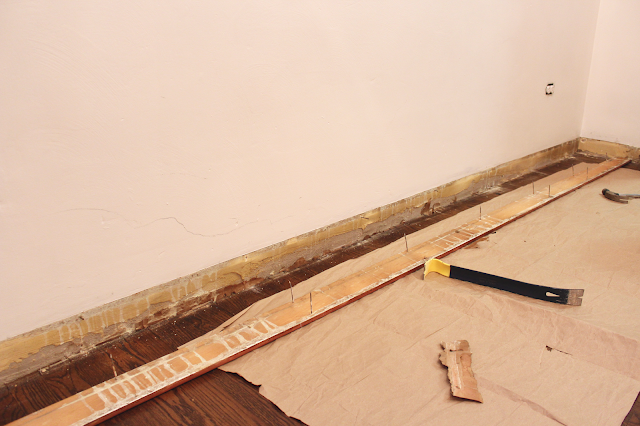 - Starting at one end, hammer the straight end of your pry bar into the top seam, pulling away from the wall to loosen the trim. - Again, as your work your trim free, be careful about the paint on your wall. You may want to cushion the space between the pry bar and wall with a folded rag. In our case, our new trim is significantly taller than our old trim, and we'll be repainting, so we weren't too worried about slight marks on the wall. 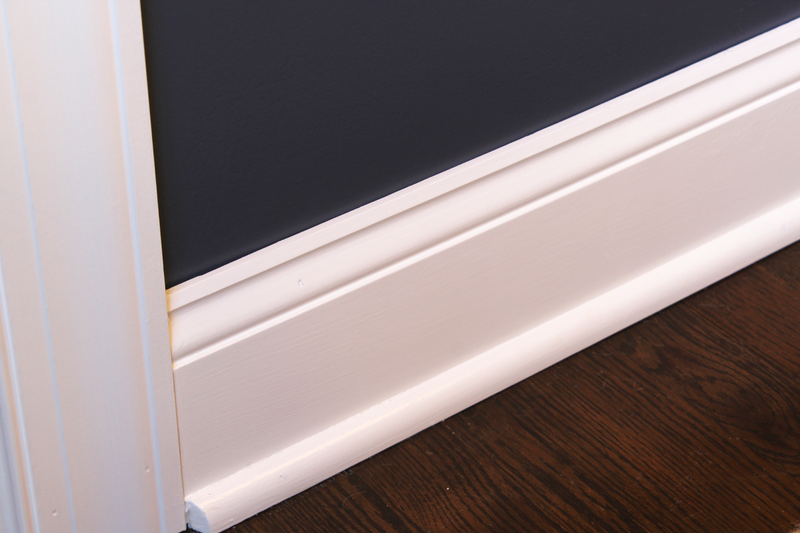 - Work slowly and evenly across your entire trim length, working both the top half of the trim, and further down to loosen the lower pieces. 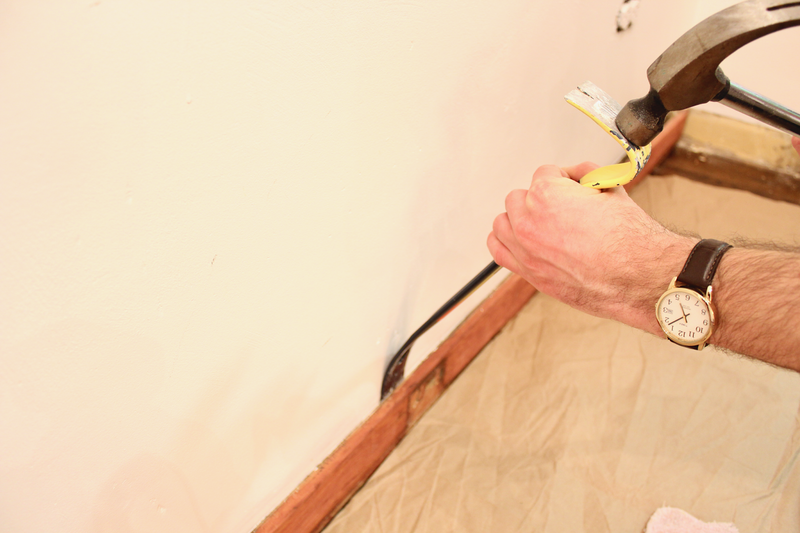 This will prevent your nails from bending too far, or you blowing out too much of the drywall or plaster that the nails are driven into. - Chances are good some nails will stay in your wall. Use your pry bar, pliers, or hammer to remove any left over nails.